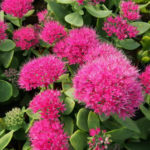 Hylotelephium spectabile ‘Brilliant’, formerly known as Sedum spectabile ‘Brilliant’, is a perennial succulent up to 18 inches (45 cm) tall. 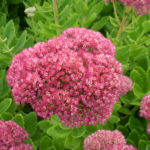 It features masses of tiny, star-like, carmine flowers in large, up to 6 inches (15 cm) across, flattened heads atop stems of pale grayish-green, fleshy, succulent-like leaves growing in upright to slightly spreading clumps. USDA hardiness zone 3a to 9b: from −40 °F (−40 °C) to 30 °F (−1.1 °C). 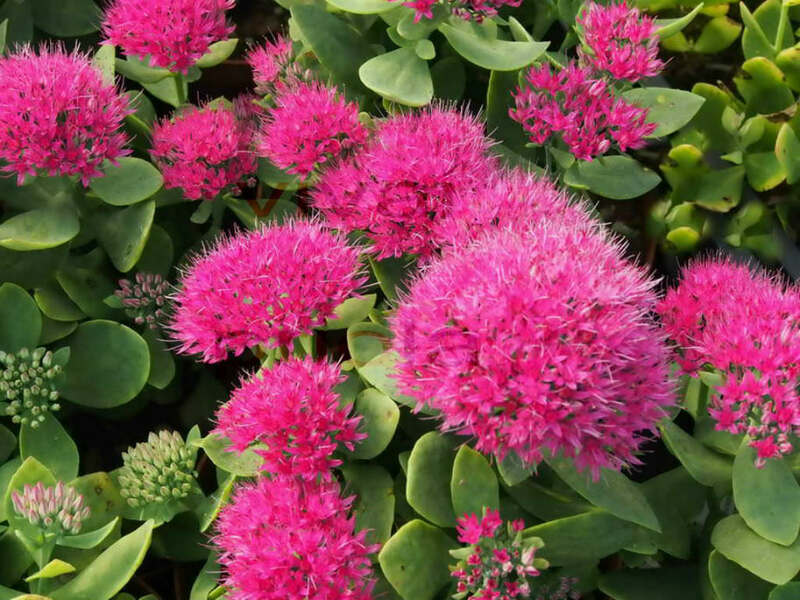 When growing Sedum, keep in mind that this plants need very little attention or care. 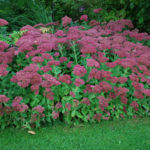 They will thrive in conditions that many other plants thrive in, but will do just as well in less hospitable areas. 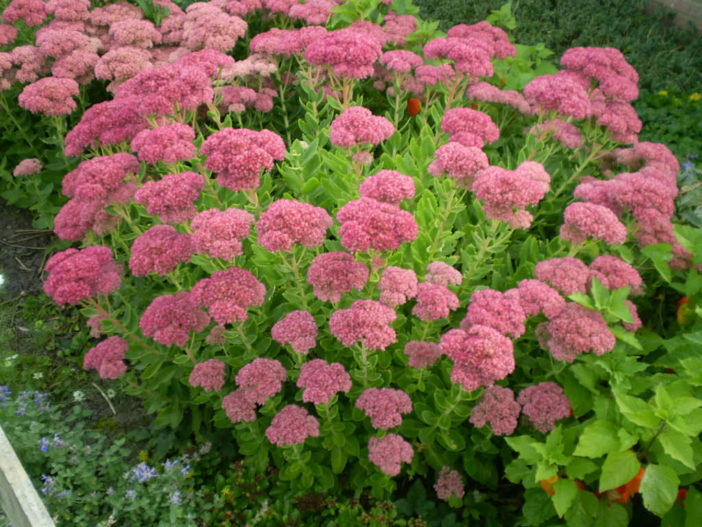 They are ideal for that part of your yard that gets too much sun or too little water to grow anything else. 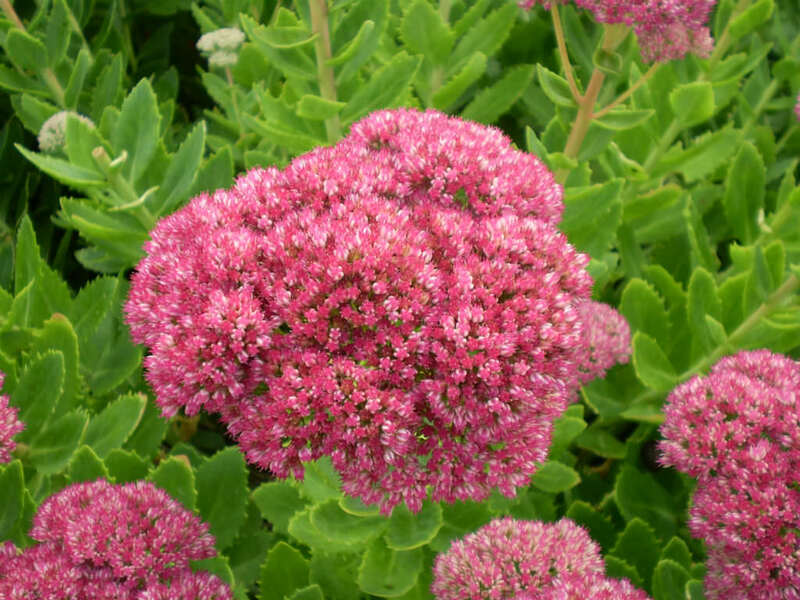 A common name for Sedum is Stonecrop, due to the fact that many gardeners joke that only stones need less care and live longer. 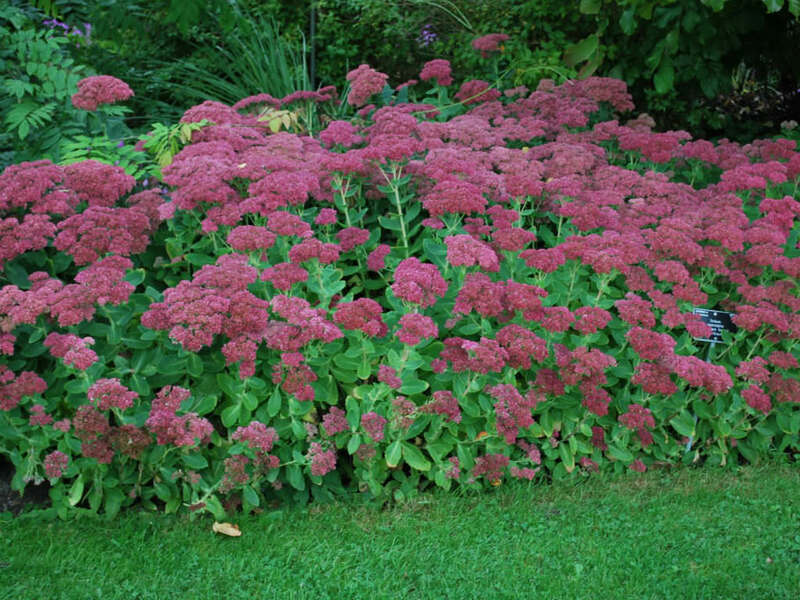 Hylotelephium spectabile ‘Brilliant’ is popular cultivar of Hylotelephium spectabile, recipient of the Royal Horticultural Society’s Award of Garden Merit.